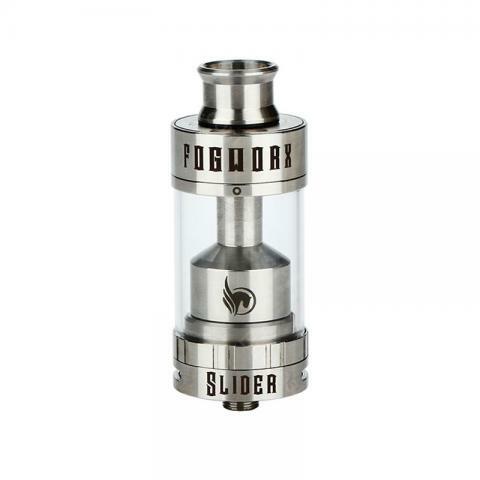 Fogworx Slider RTA is a rebuildable tank atomizer, which comes with massive 5.5ml e-liquid capacity and 25mm diameter. It has a dual-post build deck for easy single coil building. It adopts convenient sliding top refill design and adjustable bottom airflow system. Constructed of stainless steel and pyrex glass, the Slider RTA has a cool appearance. 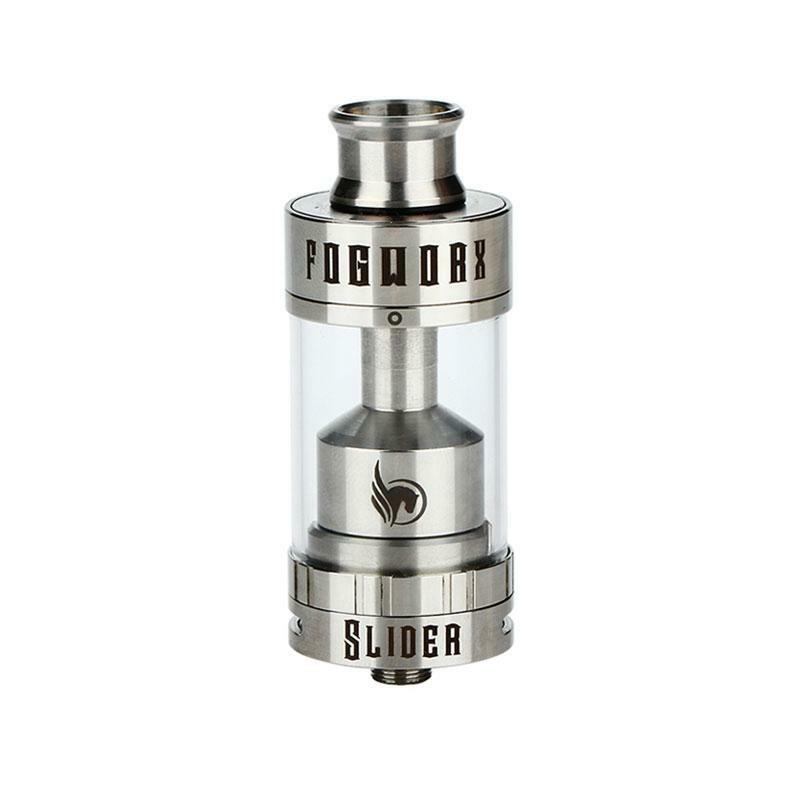 Constructed of stainless steel and Pyrex glass, the Fogworx Slider RTA is a 5.5ml rebuildable tank atomizer with 25mm diameter. It has a drop-in style dual post build deck for convenient single coil configuration. Adjustable dual oval-shaped airflow slots brings smooth airflow to the coil. The Slider RTA adopts easy sliding top refill design that you can fill it without any hassles. The ergonomic wide bore 510 drip tip with delrin base offers a better vaping experience. The Fogworx Slider RTA is a good choice for impressive flavor and clouds. • Rebuildables are for experts, not for average or beginner vapers. Fogworx Slider RTA is the way to go. Very happy with the product. Das perfekte Starterset für Anfänger. Super einfach in der Bedienung und in der Benutzung. Fogworx Slider sehen elegant aus.